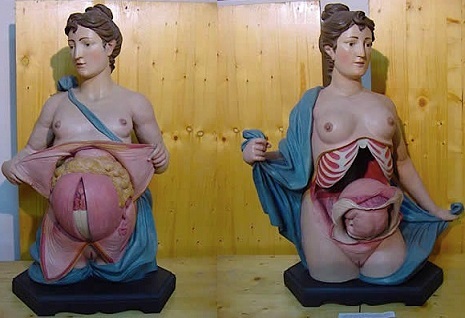 Have you ever heard of ‘Anatomical Venus‘? 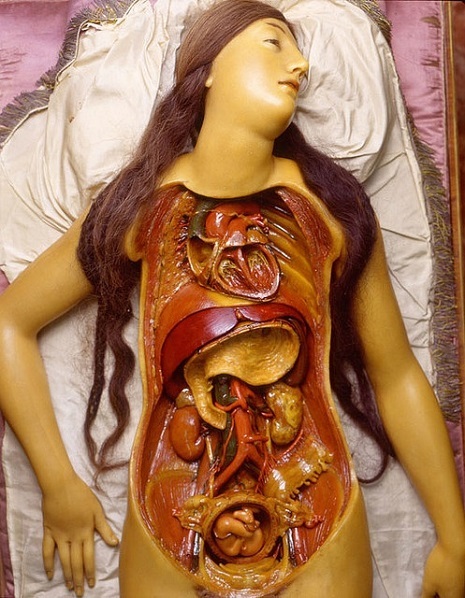 The term is used to describe the idealized female medical models that were intended for the education of both medical students and curious women and men in 18th century Europe. 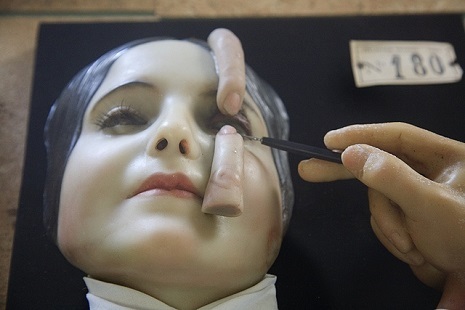 The figures that were usually made of wax, had often elaborate make-up on as well as jewellery and ribbons. 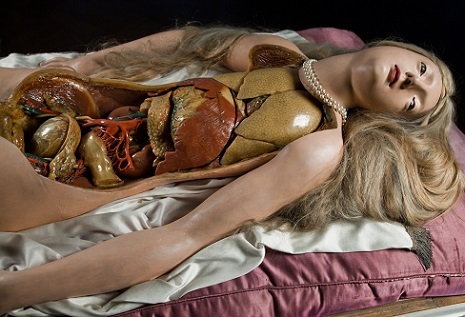 Some of the models look dead while others look disturbingly alive – in some, a mild sense of eroticism can even be found. One thing is for sure, they were made in great detail: in the last picture you can see a -pretty calm- woman giving birth while the doctor’s hand is featured too. See for yourself. A bit creepy, don’t you think? Giovan-Battista Manfredini, late 18th century. Actually made from terra cotta, not wax. Depicting eyelid surgery. From Musée Orfila, Paris, France, no date given. 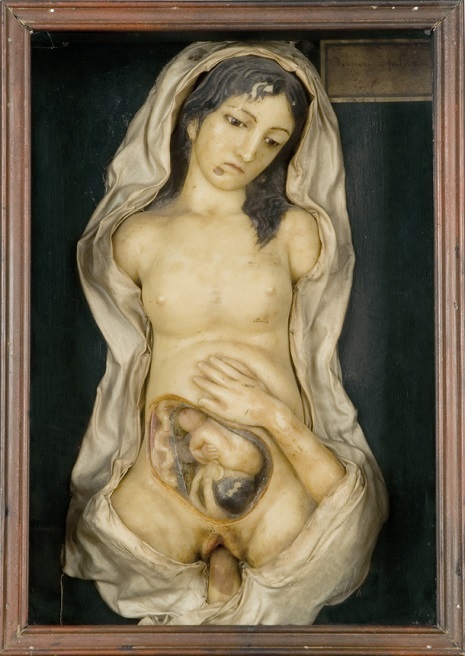 From La Specola museum, Florence, Italy, no date given. 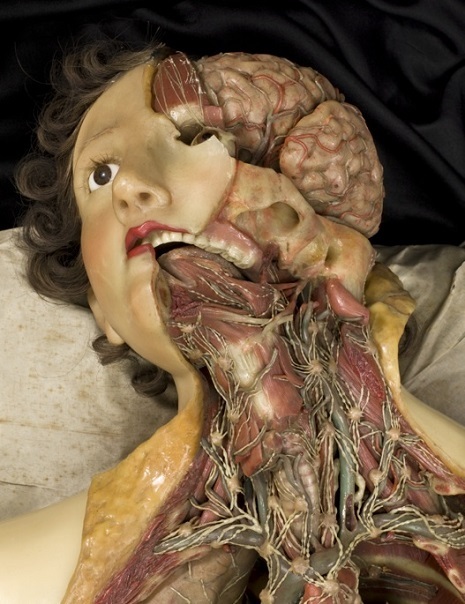 From La Specola museum, Florence, Italy, 18th century. By Clemente Susini. Note the tiny fetus. 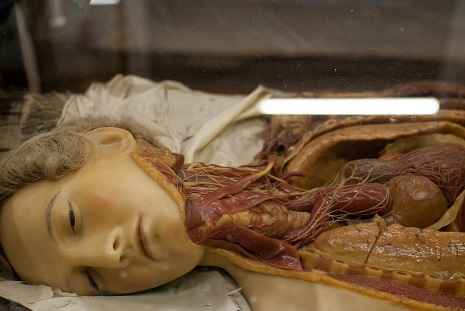 From Museu d’Història de la Medicina de Catalunya. Barcelona, Spain, 19th century. Jules Talrich, Paris, late 19th century.